This is the 39th issue of the feature called the IBC Threat Assessment (IBC-TA) that was initiated in November 2014. It is intended to inform our readers about ongoing and emerging CRBNe-threats that need the attention of policymakers, experts and ordinary citizens. If left unattended these threats may result in grave consequences for different sectors of our societies and/or the security of ordinary citizens. As the threat environment is constantly changing; existing regulations, crisis plans or security protocols are often insufficient and in need of adaptation or review. Every TA will cover threats for several CBRNe categories. The TA’s are based on open sources. End date of collection: September 30, 2018. Honeybees are responsible for around 80 percent of the worldwide pollination. Bee colony collapses around the globe are threatening this vital work. Bees are dying from a combination of pesticides, habitat destruction, drought, nutrition deficit, global warming, air pollution among other factors. There are several suggestions to solve the problem, including the elimination of the world’s most dangerous pesticides, including glyphosate. This is an ingredient of the weed killer Roundup produced by Monsanto. Its use has health effects on animals and humans. A new academic study has found evidence of the effects of glyphosate on honeybees. The researchers found that exposure to glyphosate hampers the development of the normal gut biome. They found that some of the key beneficial bacteria in bees ‘ guts have the enzyme that is targeted by glyphosate. They were able to demonstrate that the exposure to glyphosate impacted the relative and absolute abundance of dominant gut micro biota species. Exposure during early gut colonization increased mortality of bees exposed to an opportunistic pathogen. Exposed to glyphosate bees are less able to fight infections. With the findings of this new study it is now believed that that the Roundup produced by Monsanto may contribute to the decline of honeybees and other bees around the world. Monsanto denies the claim. Last August, a US court ordered the company Monsanto to pay $289m in damages after a jury ruled that the weed killer caused a terminally ill man’s cancer. Monsanto will appeal. The company has been accused of systematic denial of the potential health risks of its product. Internal emails of the company also indicated that it ignored expert’s warnings and sought favorable scientific analyses and assisted in ‘ghost writing’ of positive papers. The ruling of the court resulted in a significant value loss of the shares of the company on the stock market. It is expected that Monsanto will face many similar court cases in the near future. Monsanto, which was bought by the pharmaceutical giant Bayer earlier this year, maintains that its products are safe and accuses anyone claiming a link with cancer is ‘cherry picking’ academic research. Pollination by bees is vital for our food crops. The worldwide expansion of the bee collapse syndrome is a serious concern that may have consequences for our food security. While the health effects on animals and humans of glyphosate are still disputed, there is a growing body of evidence that glyphosate does have carcinogenic effects on humans and may be a contributing factor in the bee collapse syndrome as exposed bees are less able to fight infections. It is a complex puzzle that is not yet complete. But the recent developments may result in a climate in which there will be a greater willingness to regulate the use of glyphosate even if Monsanto keeps saying that there is no scientific evidence that shows that glyphosate poses an unreasonable risk for humans, animals and the environment generally. The epicenter of the outbreak remain in Mabalako and Beni health zones in North Kivu. Beni has become the new hot spot in the past months. In August 13,000 people fled their homes in the Beni area alone because of insecurity. A deadly attack by the Allied Democratic Forces (ADF) led to a temporary suspension of the containment efforts. Insecurity is likely to intensify as tensions will rise with the approaching elections in December. The army has launched new operations against the ADF, the most active and violent group in the region, to ensure that the campaign against Ebola can continue safely. Things get complicated if people flee to so-called ‘red zones’ where security is poor and the carrying out of response efforts is extremely difficult if not impossible. Many of the new cases were generated in pockets of reluctance, refusal and resistance to accept vaccination. Responders are employing a range of new techniques in red-zones including using armed escorts and training local health workers to trace contacts. Response teams continue to enhance activities to prevent new clusters and the potential spread to new areas. In late September, the first two cases of Ebola were identified in Uganda. One of them was a woman that had participated in the burials if Ebola victims and had refused a vaccination. The second was her partner. They both died. More cases can be expected as more than 200 refugees from DR Congo arrive each day in Uganda. The WHO has deployed more than 200 experts to DR Congo to assist and coordinate the containment effort. Four Ebola Treatment Centers (ETC’s) have been established for the treatment of patients. Already more than 12,000 doses of the experimental Ebola vaccine have been given out. This is the largest field test during a live outbreak. The rVSV-ZEBOV vaccine is further tested as it turned out to be effective during the previous outbreak. In late September, a total of 63 vaccination rings were defined in addition to 26 rings of health workers and other frontline workers. Part of the available aid money is invested in research of the post-Ebola syndrome. There are indications that even if the blood of a patient has been declared virus-free, the virus can remain alive for months in body parts or bodily fluids. Since 1976 there have been more than 30 known Ebola outbreaks including ten in de DR Congo. The current outbreak is larger and more complicated than the previous one. The outbreak occurs in a country with more than a million IDPs. The WHO has warned for a further spread of the virus due to the armed conflict, the public defiance about vaccination and the growing political tensions related to the upcoming elections in December. As the virus may spread to new areas, the priority remains strengthening all components of the public health response in all affected areas, as well as continuing to enhance operational readiness and preparedness in the non-affected provinces of the DR Congo and in neighboring countries. The Congolese health infrastructure is weak due to a long-term humanitarian crisis and also has to deal with several other epidemics (like cVDPV2, cholera, measles and monkey pox). During a summit meeting between the South and North Korean leaders in Pyongyang in mid-September, North Korea announced it would dismantle a missile site and also a nuclear complex if the US took ‘corresponding action’. At the end of the meeting in Pyongyang a cooperation agreement was signed and Kim Jong Un stated that he would visit Seoul in the near future. Currently all major joint projects between South and North are stalled due to the US-led sanctions. As not much happened from the side of the US, the current situation appeared to be in a deadlock. North Korean officials tried to use the recent UN General Assembly to express their frustration about the United States inaction. They mentioned the measures they had taken to build trust. Unfortunately they did not see corresponding measures from the US. They indicated that there will be no unilateral nuclear disarmament if the current situation of mistrust will continue. On the other hand they tried to signal that they wanted to push a wary United States to agree to a declaration formally ending the Korean War. It is expected that such a declaration could create new political momentum that would steer discussions toward diplomatic recognition, economic benefits and security concessions. 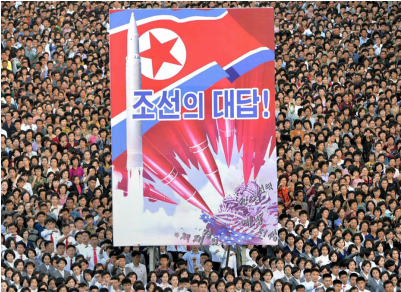 There is, however, a widespread skepticism about North Korea’s seriousness in renouncing its nuclear program as it is seen as the only way to guarantee its safety. President Donald Trump remained optimistic about developments and the prospects for a second summit. At this moment he does not want any fixed time schedule as long as there is no nuclear testing or tests of rockets. In public statements he emphasized the kindness of the letters he had received from the North Korean leader. Despite his optimism he announced that the existing sanctions will remain in force. US Secretary of State, Mike Pompeo, is expected to travel to North Korea later this year, to discuss US demands and to prepare a second summit between the US and North Korean leaders in 2019. It is expected that the 2019 summit will result in a more specific time table for all the necessary measure to be taken with the aim of a complete denuclearization. US intelligence officials have given mixed signals in the past weeks. On the one hand they indicate that they are hopeful that North Korea is getting serious about giving up its nuclear arsenal. On the other hand they indicate that despite the symbolic steps North Korea took, there has been no change in the assessment about North Korea’s intentions. The nuclear arsenal is seen as key to the survival of the regime and as leverage to achieve long-term strategic ambitions. 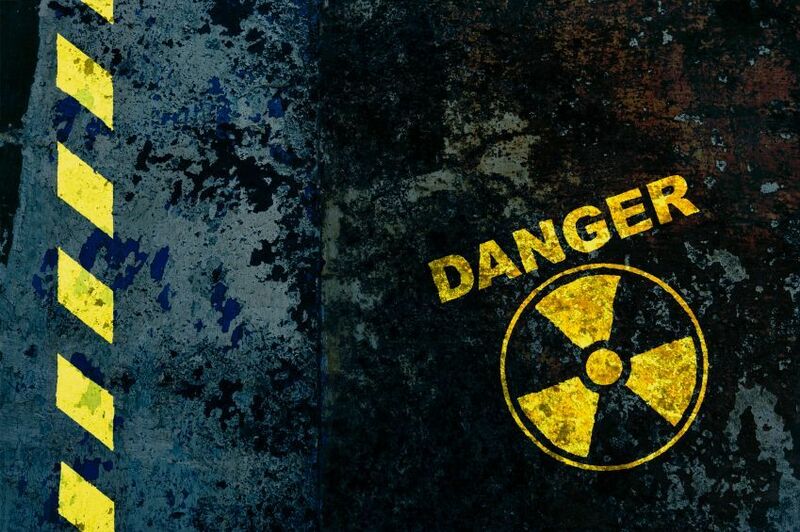 As there are no inspectors on the ground it is almost impossible to verify whether North Korea has taken any other denuclearization steps. Since the Singapore summit there has been a warming of ties and a halt of Pyongyang’s missile launches and nuclear testing, but to the frustration of North Korea there has been little progress. While it was waiting for more corresponding action by the US to build mutual trust, President Trump announced that the existing sanctions will remain in place to keep the pressure up. The involved parties are still talking and despite the widespread skepticism there is some hope. During the recent UN General Assembly in New York new arrangements were made for the travel of Mike Pompeo to Pyongyang, later this year, for more substantial discussions and the preparation for a second summit in 2019. In the mean time academics and experts continue their debate about the chances for a possible win-win scenario. According to a recent think tank study only five out of 34 participating experts held the view that a win-win scenario was possible that would serve the long-term interest of all key actors involved. This is only one indication that tough and lengthy negotiations lie ahead to reach the desired results. There are several organizations collecting information on terrorist incidents and terrorist organizations to determine trends. One of these organizations is the Action on Armed Violence (AOAV) with its Explosives Violence Monitor project. AOAV produces monthly reports with statistics. In its most recent monthly report on last August it concludes that there were 254 incidents of explosive violence that took place in 31 countries and territories, and resulted in 2,070 deaths and injuries (61 percent being civilians). The five worst impacted countries were Yemen, Afghanistan, Syria, Iraq and the Philippines. AOAV is specifically interested in the impact of specific weapon categories on civilians in populated areas. In August , 48 percent of the civilian casualties were caused by IEDs, 10 percent by ground-launched weapons, 40 percent by air-launched weapons and 2 percent by naval-launched explosives and landmines. The larger terrorist organizations are engaged in self-reporting to counter the information of their enemies and to provide their constituency with useful information. In an interesting infographic distributed via its own information channels Daesh provided an overview of its operations during 2018. It reported that it had been involved in 2,981 operations that resulted in 19,900 killed and wounded. These operations included 1,087 IED attacks, 163 complex (inghimasi) attacks and 190 suicide (ishtihadi) attacks. Most operations occurred in Iraq, Syria, Afghanistan, Egypt and Somalia. Many terrorism experts look forward to the annual report by the US State Department that contains a statistical annex. According to the latest report the total number of terrorist attacks worldwide in 2017 decreased by 23 percent and total deaths due to terrorist attacks decreased by 27percent. The overall trend was largely due to a significant reduction of attacks and deaths in Iraq. The report concludes that the overall trend in terrorist attacks observed in 2017 are a continuation of an overall pattern that began in 2014. More details about the geographical distribution of incidents, active organizations and the lethality of their activities can be found in the report. A clear ban on killer robots would reinforce the longstanding moral and legal foundations of international humanitarian law articulated in the Martens-clause. A small group of countries that is involved in the development of killer robots is, however, obstructing the beginning of the drafting process, by using the lack of a shared definition as a pretext. During the planned meeting in November a final decision will be made how to proceed next year. If the situation remains stalemated without much progress in the direction of drafting a new international treaty, the Campaign to Stop Killer Robots has a few other options to reach its goal. It could threaten to take the process ‘outside’ to another forum, like the UN Human Rights Council, or it could decide to write an opt-in treaty elsewhere. Banning a specific weapon category is a slow and gradual process. Killer robots are no longer the stuff of science fiction. If the negotiations on an international treaty to ban the development and the use of killer robots will not be initiated in November, we will soon be faced with the consequences of a situation in which technological advances outpace international law. 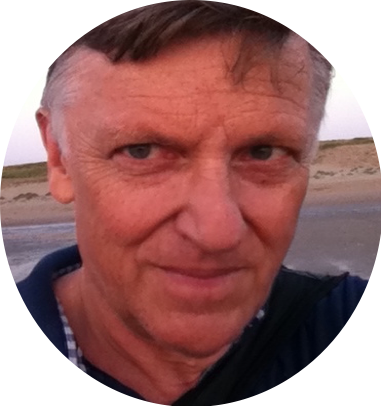 Berto Jongman began his academic career at the Stockholm International Peace Research Institute (SIPRI) in Sweden. From 1982 to 1987 he worked as a researcher at the Polemological Institute of the University of Groningen where he participated in a project on early warning of armed conflict and political violence. In 1987 he moved to the University of Leiden where he acted as data-manager of the Project on Interdisciplinary Research on the Root Causes of Gross Human Rights Violations (PIOOM). In 2002 he moved from academia to government. From early 2002 to late 2012 he worked as a senior terrorism analyst for the Dutch Ministry of Defence. During this period he participated in a number of Advanced Research Working Groups of NATO, e.g. on radicalization, cyber crime/terrorism and the use of Internet by terrorist organizations. A large part of his work at the Ministry involved terrorist threat assessments, including the quarterly assessment of the terrorist threat to the Netherlands for the NCTV. He left the Ministry of Defense in late 2012 and is currently active as a consultant in the area of CBRNe.